Soha Ali Khan and Kunal Kemmu’s daughter Inaaya Naumi Kemmu is equally popular like her cousin Taimur Ali Khan. 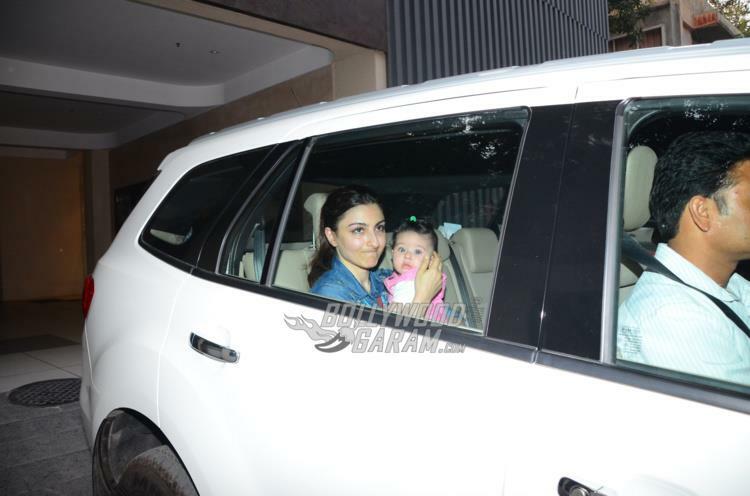 The actress turned author was snapped with daughter Inaaya as the two were out on a casual outing. On the work front, Soha was last seen in the film Ghayal Once Again and is away from the film circuit for a while. Husband Kunal was last seen in the film Golmaal Again, which did wonders at the box office.